PARIS – France could soon implement tax changes in an aim to boost the national economy and increase the rate of employment in the country. In a speech given in Paris on January 3rd, the President of France Nicolas Sarkozy confirmed that the country will soon see an increase to the national rate of value added tax and a reduction to the mandatory social security contributions paid by employers. The VAT rate increase is aimed at raising extra revenues which will be used to fund the country’s struggling social security system, and the extra surplus will allow the French government to reduce the rate of employers’ payroll contributions. The President claimed that the changes will work in unison and boost the country’s economic production, increase the employment rate, and lower labor costs. The current VAT rate in France is 19.6 percent, and the standard rate for social security contribution is 8 percent. 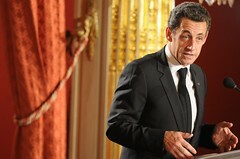 Nicolas Sarkozy did not reveal the extent of the proposed VAT rate increase, but indicated that more details will be disclosed in a few weeks. The President said that the changes should be approved by April 2012. The Labor Minister of France Xavier Bertrand has already voiced his support for the change, saying that it will increase the number of available jobs. The proposal is also being met with adamant opposition from François Hollande, the leading candidate for the presidential elections. He claims that the new measure will not improve employment rates, and will only result in employees seeking higher paying jobs in order to compensate for the increased rate of VAT.